Have you been in an accident and you’re not sure what to do next? We understand how frustrating accidents can be and how important it is to get great care right away. Chiropractors are expertly trained to evaluate and treat injuries, and that’s why we’re here. What Happens to Your Body in an Accident? During a car accident, your neck and cervical spine is thrown backwards and then forwards. This movement is called whiplash, causing spinal misalignments, disc damage and injuries to your muscles and ligaments. While you may feel fine right after an accident, damage may still occur regardless of if you feel it right away. This is why it’s important to receive care immediately to prevent long-term damage to your health. If you don’t get checked after an injury, permanent damage could be caused to your musculoskeletal system with pain that lasts a lifetime. For example, scar tissue can build up and you could experience neck pain, arm pain and numbness, headaches, upper back pain, dizziness, lower extremity pain and back pain. At Casses Chiropractic Clinic, PC, we combine chiropractic care with therapies such as electric muscle stimulation, mechanical traction, laser therapy and at-home rehabilitation programs for your most thorough healing. What to Bring: Please bring your automobile insurance card so we can start a claim for you. If available, we’ll gladly record the other person’s auto insurance information as well. We make it easy! We’ll file all of the paperwork to your insurance company regarding your injuries and pain. What to Expect: Initially, when you visit you’ll meet with one of our doctors for a consultation, examination and possibly on-site X-rays. This will help us determine any injuries from your accident. We’ll also do orthopedic and neurological testing. At the end of these evaluations, we’ll sit down and come up with our recommendations for your treatment. 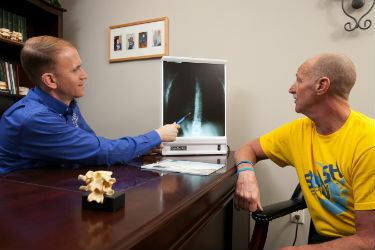 We’ll usually begin treatment that day and you can expect this appointment to last around an hour. Most people seek treatment for 4-8 weeks, depending on the specific situation.